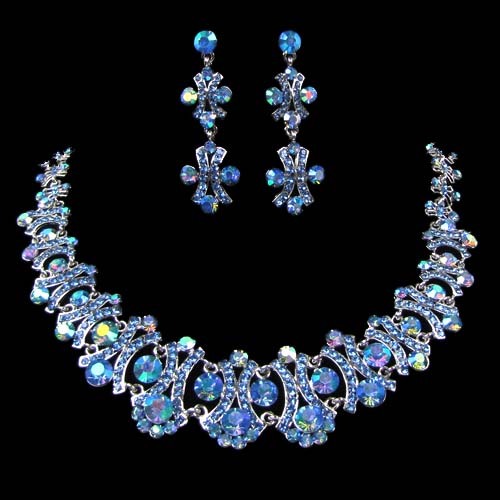 The combination of silvery metal and celestial blue crystals lends a look of elegance to this necklace set. Shining crystals look like melting pieces of ice drawing attention to your neckline. The earrings have long drop design. Buy this gorgeous piece of fashion jewellery online here today.